These Adidas by Stella McCartney Ultra Boost X Trainers have been crafted with yarn made in collaboration with Parley for the Oceans, a cause that works to recycle ocean waste. As seen on Meghan when heading to yoga in April 2017. 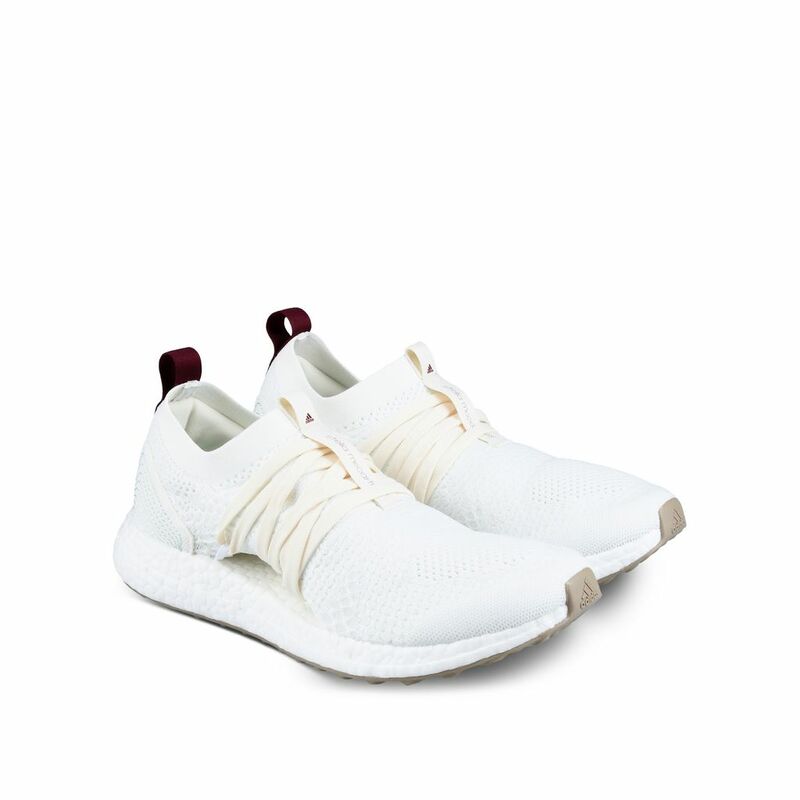 Knitted Ultra boost™ sleek and feminine light coloured running shoes featuring yarn spun from Parley Ocean Plastic, this adaptive footwear Primeknit upper gives you strategic support. A female-specific free-floating arch design hugs your foot, letting you move and flex naturally.